DanTheStampMan.Com,Inc. GERMANY DDR MNH COLLECTION IN LINDNER HINGELESS ALBUM-1960-1968! GERMANY DDR MNH COLLECTION IN LINDNER HINGELESS ALBUM-1960-1968! 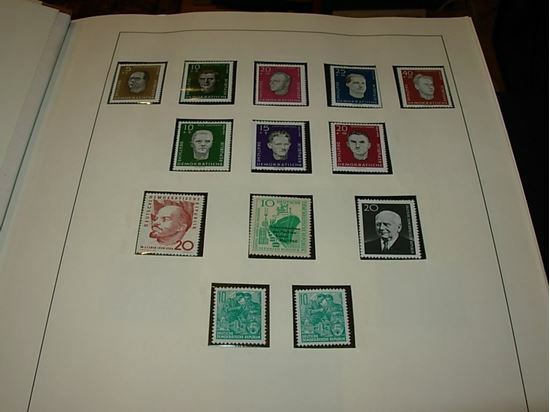 A very nice all MNH Germany DDR collection in a Lindner hingeless album running from 1960 to 1968. Numerous complete MNH sets, better individual items in very clean condition. Selling as is from the collector. Photos show all pages included.